Helping employers with the daunting task of providing valuable employee benefit protection and employee benefit consultation could never be more important. Businesses are faced with an endless barrage of federal and state legislation and health care costs that continue to increase in epic proportions. 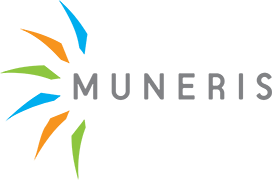 Muneris Benefits proven cost containment strategies, consumer driven models and creative employee communications have helped hundreds of employers throughout the Mid-Atlantic Region. Our commitment to serving the employer as well as the employees with unparalleled customer service and leading edge technology are the hallmarks of our success.